To the surprise of nearly everyone, the Supreme Court has upheld the individual mandate and saved the skin of the Patient Protection and Affordable Care Act (PPACA), the national health insurance reform that President Obama and his congressional allies crafted and passed in 2009. It is a creaky, complicated contraption that could have collapsed had the supporting structure of the individual mandate been pulled out, but somehow it passed muster with the conservative-dominated Supreme Court, perhaps in recognition that it was an idea originally generated by the Heritage Foundation to protect and preserve the role of private insurers in health reform and to nix the logical alternative of a single-payer system. What happens now? Is it full steam ahead or will there continue to be difficult passages? We posit five distinct possibilities below. If anyone thinks that the Roberts court’s endorsement of the individual mandate is the end all and be all, check again. “Obamacare,” as the Republican opposition has dubbed it, is the public policy avatar for President Obama himself. If nixing the individual mandate didn’t work, they will come up with more means of attack, some of them involving the (broadly construed) charitable sector. For instance, the battle crafted by the Catholic Church, particularly the U.S. Conference of Catholic Bishops, against the law’s provision of health insurance for contraceptive assistance will likely erupt anew. The argument will be molded to pit individual and religious freedom against an over-empowered federal government. Don’t think that this is just a Catholic Church issue, though. It will get support from other denominations and faith-based charities, particularly evangelicals who might be just as bothered by government’s role in health coverage. Leading into national elections, will the Obama administration take on the Bishops (who are carrying out a national “Fortnight of Freedom” campaign to rally the troops) or back down and accede to their demands? It seems unlikely that the issue can be circumvented until after November. Sen. Roy Blunt (R-Mo.) has introduced a bill to modify the PPACA to allow any employer and any insurer “to refuse to provide or pay for coverage of ‘specific items or services’ if the coverage would be ‘contrary to the religious beliefs or moral convictions of the sponsor, issuer or other entity offering the plan.’” Don’t think that that message won’t resonate with people beyond the inner sanctums of the Bishops. If it were enacted, it would make an already arcane national health insurance structure that much more of a free-for-all. In addition, Congress could enact additional mechanisms to chip chip chip away at health insurance reform, such as the House Appropriations Committee’s decision to ban federal government contracting with multi-state insurance plans that contain elective coverage of abortions. Make no mistake about it. These battles over the content of health insurance coverage will drag nonprofits to the table to take a stand whether they want to or not. In some instances, that could pit secular nonprofits against faith-based nonprofits. To make health care reform operational by 2014, states are supposed to have health insurance exchanges up and operating to provide access and subsidies for lower income people to get health insurance. A year before the intended start, the Department of Health and Human Services is supposed to assess the readiness of the exchanges. If that’s the case, we’re in trouble. Only 14 states have gone ahead with steps to create the exchanges. One of them, Hawaii, created a nonprofit corporation to run its exchange, while the rest are in the hands of governmental agencies or quasi-governmental bodies. Simple arithmetic tells you that we’re coming close to the eight ball. Plus, two states (Arkansas and Louisiana) have simply rejected the idea of creating exchanges. According to a Kaiser Family Foundation study, another dozen states have taken no significant steps to do anything. It appears some states will be only reluctant participants in the program, including Wisconsin, under newly reenergized Scott Walker, and Florida, governed by the anti-Obamacare Rick Scott. In addition, the largely conservative states of Texas, Oklahoma, Kansas, North Dakota, South Dakota, Georgia, South Carolina, Alaska and Democratic anomaly New Hampshire appear reluctant. Some would put Florida and Alaska as already among the refuseniks with Arkansas and Louisiana. Although New Hampshire has a Democratic governor (John Lynch), the state has joined several others in turning back federal grant support for establishing their exchanges and the legislature sent the governor a bill asking him to add New Hampshire to the no-exchange column. Observers sometimes forget that the implementation of health insurance reform isn’t free. It costs money, which is the obvious spigot that Republicans in Congress might try to turn off in order to hamper the administration’s progress in getting things going. For example, soon after the passage of the bill, $1 billion was given to the Department of Health and Human Services (HHS) as implementation money, which HHS plans to spend fully by September. One quick expenditure was to redirect $500 million of that total to the Internal Revenue Service because the Service has responsibility for the enforcement of the individual mandate, the application of fees and penalties, and the administration of tax credits, all of which are essential if the PPACA is going to make health insurance more affordable for low and moderate income people. One of the spending needs of the IRS is to hire 300 additional agents to do this work. One can imagine PPACA opponents might try to cut off the flow of funding to the IRS. Add in future funding for the exchanges and funding for the incipient health insurance cooperatives and there are plenty of ways for opponents to squeeze off the flow of funds necessary to keep health insurance reform alive. The response to the PPACA from small businesses and nonprofits has taken a turn that the president’s staff didn’t expect. As of last November, some 309,000 small employers received a tax credit to help them afford health insurance (the average credit was only $1,407, much smaller than the administration expected). As such, small employers (those employing 25 workers or less and paying an average wage of less than $50,000 per employee) are reportedly finding the tax credit laborious, time-consuming, and generally not the kind of incentive that would make them expand their policies and coverage. And nonprofit employers’ tax incentive is worth even less than the credit offered to small businesses. The experience of the first two years of the PPACA ought to be used by the administration and by nonprofit advocates as a window into the fixes necessary to make this extraordinarily complex program workable. In the Chronicle of Philanthropy, Pablo Eisenberg wrote that it is time to ensure that nonprofit hospitals serve the poor. There’s no debating that point, especially since continuing news coverage suggests that nonprofit hospitals haven’t taken major steps to change their behavior (see, for instance, the important series of recent investigations on nonprofit hospitals by Ames Alexander and his investigative team at the Charlotte Observer). While the PPACA wasn’t particularly tough on nonprofit hospitals, it did establish a number of standards that advocates should be using to get these institutions to live up to some of their charitable status, particularly the requirement of a community benefit assessment and analysis every three years. Now that nonprofit hospitals are mandated to conduct these assessments, there is the opportunity for getting past the hospital-by-hospital PR-oriented approaches that too often dominate the discussion in favor of a more significant, community-involved, transparent assessment process. As Community Catalyst notes, “The community-health-needs assessment requirement is an opportunity for more in-depth collaboration among nonprofit hospitals, community advocates and members, and public health departments where they already interact, and the assessment requirement may be an opportunity to develop partnerships where there are none. In many cases the community-health-needs assessment may be completed as a joint venture between a nonprofit hospital and a health department…Advocates can organize affected community members and involve them in conversations with hospital leaders, building alliances with providers to push for stronger consumer protections and better institutional practice toward low-income communities’ priorities.” Simply providing coverage won’t be enough if there is inadequate access, inappropriate treatment, and insufficient attention to the millions of Americans (especially undocumented and recent immigrants) who will still be uninsured after 2014. It’s time to make sure that nonprofit hospitals—which account for more than half of all hospitals in the U.S. and nearly three-fourths of community hospitals—really live up to their 501(c)(3) status. With the individual mandate in the president’s health reform law upheld, there should be the incentive for the states and the federal government to step up their games in establishing health exchanges and, at the federal level, getting draft regulations published and circulated. The exchanges, the regs, the new nonprofit health insurance cooperatives, and other moving components of the health reform package are essential for consumers to know what it is they are buying when they buy compulsory health insurance. What kind of insurance are we really being offered? Is this a health insurance version of car insurance? How many of us actually know what they heck we’ve bought from Flo or the gecko? The nonprofit sector has to step up its game, too. Just as it was easier for Republicans to oppose “Obamacare” than to propose an alternative solution, it is easier for nonprofits to organize against something than it is to help get a policy that’s already on the books implemented. Will foundations that supported nonprofits such as Health Care for America Now, Community Catalyst, and others in their advocacy for health insurance reform continue their funding for these and other groups in order to work on the less exciting nuts and bolts tasks of assisting with implementation? The New York Times reports that the PPACA’s opponents spent an unfathomable $235 million in advertising attacking the legislation. If they were to have won, the disastrous dismantling of health insurance reform would have been an unholy mess. 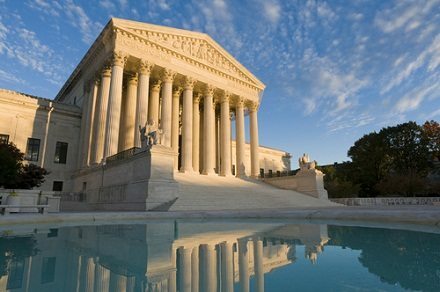 With the Supreme Court’s retention of essential elements of the law, the Republicans and their niche-oriented allies will simply continue their negative barrage, but who will help the nonprofit sector gear up for the work of implementation, especially when the implementation is needed on a state-by-state basis? New York, for example, couldn’t get a bill through the state Senate to establish a health exchange, so Gov. Andrew Cuomo issued an executive order to get the process moving only this past April. Although Arkansas had been on record against the exchanges due to the actions of its legislature, somehow the state just accepted a $7.6 million grant to design and implement one. Alaska appears to have rejected a partnership with the federal government in order to design its own exchange. The point is, after the Supreme Court decision, each state is going to have different political and health issues to deal with, making the challenge of advocacy exceptionally difficult, at least on a national scale. Foundations, in particular, will need to address this challenge. Health conversion foundations such as the mammoth California Endowment will probably get it and will therefore funnel more support to nonprofit advocacy around design and implementation issues. Grantmakers in Health will likely tell its members about the importance of state-level advocacy to deal with implementation obstacles, but how much will the foundations give to support nonprofits’ roles in designing implementation? The scope of the challenge is so large, and there are so many issues to be encountered, that it all might appear daunting. Daunting or not, it will be necessary.